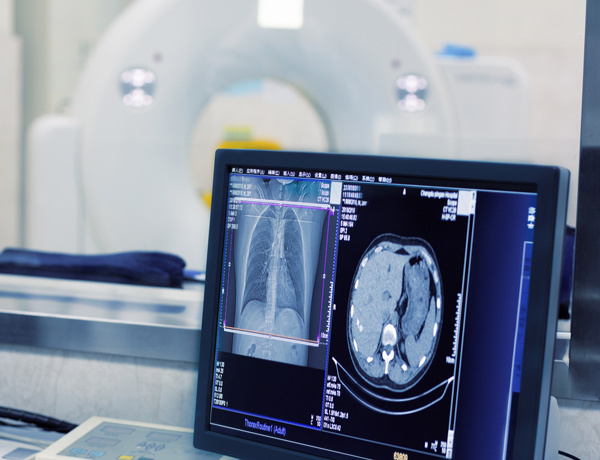 Researchers in Australia believe they have discovered a simple way to enhance the accuracy of CT scanning for pleural abnormalities, potentially leading to better diagnostics for mesothelioma cancer. A research team from the University of Western Australia in Perth has shown the sensitivity of CT scans — used in the diagnostic process — can be improved by creating intrapleural air flow. The discovery stems from their six test cases of malignancies, including four patients with pleural mesothelioma. Chest Journal, the official publication of the American College of Chest Physicians, published the study in June. Improving the diagnostic process for mesothelioma is critical to finding more effective treatment options and longer survival for patients. Pleural mesothelioma typically comes with a poor prognosis. Most patients live less than 18 months after a diagnosis, which usually isn’t made until the cancer has progressed into stage 3 or 4. By the later stages, treatment options are limited and typically palliative in nature. Mesothelioma is caused by long-before exposure to asbestos. But the latency period between exposure and diagnosis can be anywhere from 20 to 50 years, allowing decades for the disease to develop before it’s found. An ability to detect mesothelioma earlier with more effective CT scanning could change treatment options and survival times significantly. According to the study, early mesothelioma tumor cells on the pleural lining — where the cancer starts — often go undetected because there is not enough difference between the density of the nodules and the density of the pleural fluid that often surrounds them. Filling the chest cavity with air, after the fluid is drained, would allow for better recognition of the early tumor cells, researchers believe. They used their six test cases as examples. The pleural abnormalities were virtually undetectable on CT scans until the thoracic cavities were filled with air — a pneumothorax — either deliberately or by a leak. Early symptoms of mesothelioma often are vague and similar to those of less serious illnesses, which slows the diagnostic process. Even at major cancer centers with expertise in mesothelioma, patients often describe a diagnostic process that lasts for months. A CT scan on a 45-year-old woman showed only a possible anterior pleural thickening. But after drainage of the pleural effusion, and a pneumothorax occurred, the CT scan revealed significant pleural nodularity. A biopsy confirmed mesothelioma. A CT scan performed on an 83-year-old man showed a large pleural effusion but only indistinct possible pleural thickening. Post aspiration CT, following pneumothorax, revealed extensive nodular pleural thickening. Pleural fluid cytology subsequently showed mesothelioma without needing a tissue biopsy. A CT scan was performed on a 61-year-old man before and after fluid drainage. The second CT scan showed significant pleural nodularity not seen in the pre-drainage version.